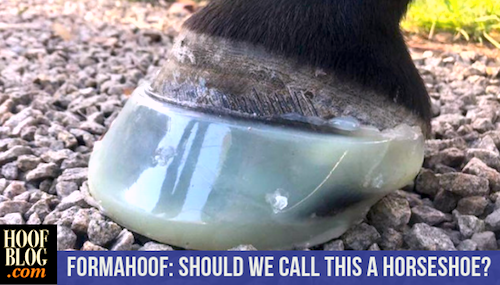 Fran Jurga`s Hoof Blog: News from Hoofcare + Lameness: FormaHoof Hoofcare Technology at the AAEP Convention: Is this hoof barefoot, shod...or protected? FormaHoof Hoofcare Technology at the AAEP Convention: Is this hoof barefoot, shod...or protected? 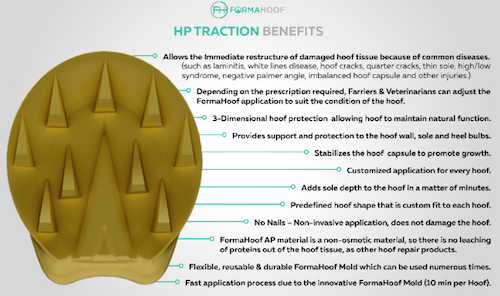 FormaHoof is a new 3-D hoof support process from Dubai. The hoof is not quite shod, and it's not exactly bare. 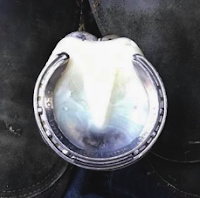 Top farriers and equine podiatry veterinarians are singing FormaHoof's praises for not only the treatment capabilities of the molded coatings, but also the remarkable amount of sole growth and concavity they see at treatment's end. FormaHoof will be exhibiting at the American Association of Equine Practitioners Convention Trade Show, December 2-5 in San Francisco. Whatever you call it, it has people talking. And looking. And asking questions. Until this week, FormaHoof seemed like just an interesting idea with a few slick videos on social media and a promise of results for rehabilitating hooves. “Liquid” horseshoes, some people called them. “Invisible” horseshoes, others said. “3D” horseshoes? We’ve heard that before, and can buy alternatives that claim the same effect, but for a lot less than the upfront investment in FormaHoof hoof treatment costs. Why, then, are farriers and veterinarians now buying and using the system? We all wonder: Does the world need another new horseshoe technique? Aren’t we optioned out? What can a new shoeing system possibly do for a lame horse that a big-belly banana, direct glue, EasyShoe, Epona, Imprint, Natural Balance, Polyflex, Sigafoos, or handmade bar shoe with a hospital plate (to name a few) can’t? It’s a tall order for FormaHoof to find its place on the crowded shelf of current hoof rehab options. Is there room for a product that requires the problem-solving skill set of farriery but not the hammers, tongs, nails, and anvil? One of the primary attributes of FormaHoof is its ability to preserve the positive aspects of a bare hoof. But sometimes, horses need shoes to perform. This Quarter horse in Texas had sliding plates nailed to his FormaHoof for reining training and performing. But the shoes can be easily removed and replaced or changed without damaging or traumatizing the hoof wall. This advanced application also features a mesh insert for different density sole support material. The Dubai-based shoe mold system has laid claim to a No Man's Land that lies in a triangle between traditional farriery, innovative equine podiatry, and barefoot hoofcare. Users call it the sweet spot: The hoof is protected without a shoe, but not left unsupported. The covered foot is still flexible, but it's also stable. Rehabilitation of weak, damaged, and deformed feet is the goal, without creating any more pressure or needing to readjust or replace shoes during the growth period between applications. No worries about how it fits: FormaHoof is the foot. In this article, you will meet some of the international professionals who are working with FormaHoof on horses with severe, chronic hoof disorders or hoof deformities. Irish racing farrier Declan Cronin. That’s how Irish farrier Declan Cronin described FormaHoof. 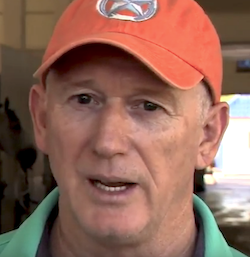 Declan is headquartered in Dubai during the winter, where he tends the hooves of horses racing for Mike de Kock, one of the world’s leading trainers. Declan has been working on a global program for Thoroughbreds to train barefoot, and race shod. 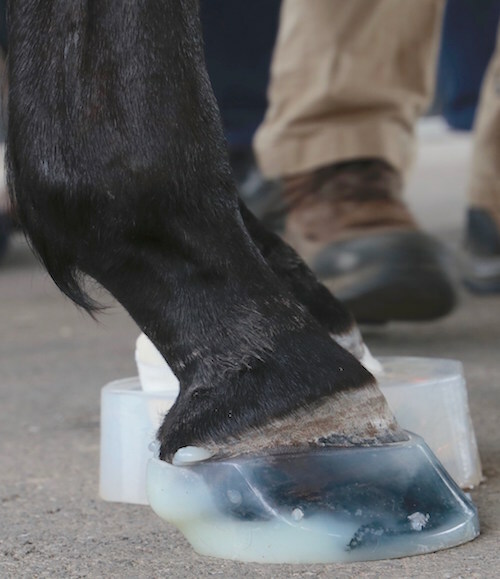 Back home in Dubai, the Emirates Racing Authority (ERA) has greenlit FormaHoof as a glue on shoe in its rules for use in racing in a country that doesn't allow barefoot horses on the track, and has strict rules about which commercial shoes are allowed and which are not. 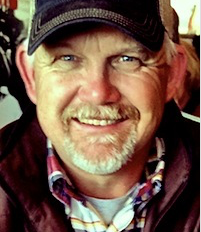 This week, FormaHoof Research and Development director Rob Stevenson lined up a series of USA clinics, culminating in a two-week trade show marathon at the American Association of Equine Practitioners (December 1-5, San Francisco) and the Wrangler National Finals Rodeo famed “Cowboy Christmas” trade fair (December 6-15, Las Vegas). Corrective foal shoes, such as this lateral extension, may be FormaHoof's easiest entry to the hoofcare market. The extensions, crafted completely from urethane adhesive, are easy to apply and remove. One mold can be used several times. Most importantly, the resulting leverage arms are easy to adapt, even after they are on the foot. Australia-based Stevenson provides high-tech shoeing consultation services to the Dubai Equine Hospital and several top racing stables in the Emirates. He's been Official Farrier for the Emirates Racing Authority and Official Farrier for the Dubai World Cup for the past 12 years. FormaHoof is celebrating the announcement of its new US distributor Debra Taylor, DVM, MS, DACVIM-LA. Dr. Taylor recently left her position as Associate Professor at Auburn University College of Veterinary Medicine to establish Twin Creeks Podiatry, which will be a new sales depot for FormaHoof in the USA. 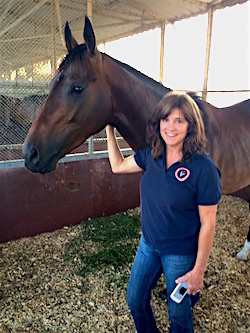 If you're in the hoofcare profession, you probably know Debra Taylor. The innovative equine podiatry researcher has been on the forefront of rehabilitative barefoot hoofcare for several years, and has collaborated with leading farriers, including Declan Cronin and Rob Stevenson. Dr. Taylor has embraced the concept of using modern materials to support the foot, but without shoes. FormaHoof fits her bill; she finds that it facilitates hoof structure recovery on lame horses, while the transparent exostructure can be rasped and adapted as the foot grows and strengthens. Stevenson and Taylor hit the road this week, with multiple stops for how-to clinics in Alabama, Kentucky, and Texas. They’ve left a trail of coated, sculpted hooves in their wake, with plenty more to come. They made friends, sold adhesive kits and molds, took dozens of radiographs to prove their points...and then packed up the truck and went back on the road until the GPS said it’s time to stop and do it all again. One day in Texas, three clinics were held on the same day. Yes, people want to see FormaHoof. You’d be forgiven if you thought that FormaHoof was a new brand of hoof adhesive, but you’d be mistaken. FormaHoof does have its own brand of urethane adhesive but it doesn’t hold anything onto the hoof. Instead, it becomes part of the hoof. 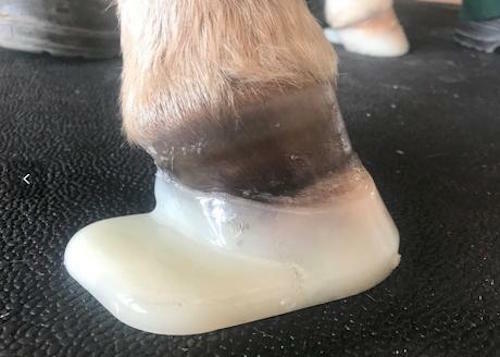 It forms into a mass around and under the foot once it is injected into a collar, or mold, that surrounds the hoof (using any of five different molds). When the adhesive sets and the mold is removed, the new hoof shape remains. The farrier then sculpts the adhesive into the desired “shoe” or “boot”. It took me a while to figure that out: I finally started looking at the feet instead of the process. The pictures of molds and adhesive cartridges were distracting. Coating a foot is nothing new, but the ability to integrate a protective, impenetrable layer of urethane adhesive around and under a foot means that the adhesive replaces the shoe (unless you really want to nail a shoe onto it, which can be done if you need a sliding plate or a racehorse requires shoes in order to race). With specific 3-D printed molds to mimic barefoot freedom, maximize racetrack performance, or provide support for laminitis, the concept is clear in more way than one: There’s nothing to come loose, nothing to break, nothing to shift, and nothing to apply pressure inadvertently after the farrier drives away. Auxiliary molds are available for foals, to make extensions for corrections. Another is for traction: the foot emerges from the mold with a frog support built into the ground surface, along with a raft of dagger-like plastic points, which are customized by the farrier to sizes and shapes needed for the particular surface or conditioning needs of the horse. The FormaHoof traction mold looks a bit medieval. FormaHoof also removes farrier resistance to gluing on shoes and learning new skills. The system requires only minimal glue skills. If you can calk a sink, you can do this: load the adhesive tube into the gun, attach the tip, line up the tip with the ports on the mold. Insert adhesive. Wait for it to set. Pull off the mold. Then pick up the rasp and hoof knife and sculpt it, just as you would a bare hoof. At the 2017 AAEP Convention, FormaHoof even had a competition for veterinarians to make their first FormaHoof; many had never glued on a shoe of any kind. At Equitana in Australia last week, there was a timed FormaHoof application contest, just for fun. Think of horseshoes the way you do eyeglasses that sit on the face and have to fit correctly so you can see and move at the same time. Think of FormaHoof the way you do contact lenses. They’re not only in the eye, they move with it, without any means of attachment. Around the world, FormaHoof has recently been introduced at Dermot Barry's multi-farrier Thoroughbred practice in Newmarket, England, and is seen on its home turf for racing and endurance horses in Dubai. 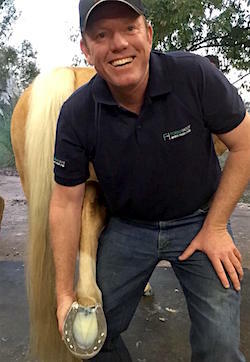 Rob Stevenson set up a research and development facility near his home in Queensland, Australia, and consultant veterinarian Luke Wells-Smith of Motion Equine Podiatry Center recently signed on as the Australian distributor for FormaHoof. In the United States, in addition to Twin Creeks, FormaHoof is sold by Willow Creek Farm, owned by farrier Shawn Mullis in Fort Edward, New York. Shawn has moved back to the United States after working with Rob Stevenson in Dubai. "I have attempted to use everything that has come out for horses. FormaHoof seems to cradle the back part of the foot, and adds more substance and rigidity in areas that are breaking down, like collapsed heels. I found the foot to be sounder and stronger, with more dome on the bottom. Sole depth develops quickly, you can see a substantial difference. The horse tries to repair itself; I really like seeing the horse walk off sound but it is even better when you come back to take FormaHoof off and see that healthier foot." Probably the one thing that most people do know about FormaHoof is that it sounds expensive. Each of the five molds comes in multiple sizes, as well as in front and hind configurations, and to order one mold in one size will cost about US$500. However, that is a reduction in cost from the introductory model, which sold for twice that, and each mold can be used dozens of times, if properly used and cared for. 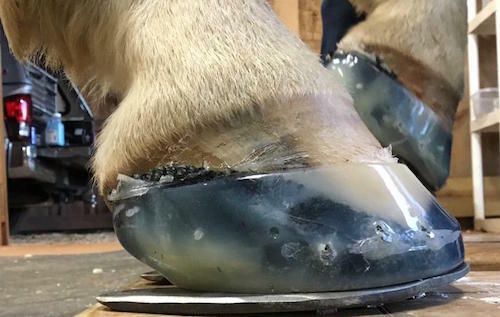 A FormaHoof representative shared with me that a veterinarian or farrier using FormaHoof can expect an expense of about $45 material cost per hoof, including the mold, which makes FormaHoof competitive to other glue on applications and hoof boots. One day, you might remember where you were the day you saw your first horse with FormaHoof feet. If the test of time and conditions proves FormaHoof to be of value, it won’t be your last. nailed into the FormaHoof material. When you ask where it fits in, look around. From my office window, I can see e-Golfs, Bolts, and even one beautiful Tesla parked on the street outside--where there were none five years ago. This little town has four charging stations and an app to help you plug in your car wherever you roam. Change happens. As Declan Cronin said, it's not about replacing anything. It's about changing the conversation. Horses may wear keg shoes forever, but the ones who need performance and rehabilitation particularly for laminitis and chronic hoof disorders, need us to be able to help with the best methods and most creative solutions. That's the list where you'll find FormaHoof and that's the list we need to watch. • Visit the FormaHoof web site. Disclosure of Material Connection: The Hoof Blog (Hoofcare Publishing) received direct compensation for placement of this post, which was written and compiled by Hoofcare Publishing. The publisher has no other material connection to the brands, products, or services mentioned, other than the products and services of Hoofcare Publishing. I am disclosing this in accordance with the Federal Trade Commission’s 16 CFR, Part 255: Guides Concerning the Use of Endorsements and Testimonials in Advertising. Sponsored stories are openly available to manufacturers and marketers of goods and services deemed of interest to the readers of The Hoof Blog.